If you are the owner of a Chihuahua, then you are probably wondering if there are any specific health problems you need to be aware of. 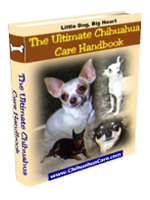 In this article, we look at common Chihuahua health problems, and what you can do about them. So, whether you have a longhaired Chi or a smooth coat, and whether you have several or are just getting your first puppy, read on to find out more. Dislocation of the kneecap, or luxation of the patella, is a common affliction for many small breeds, like the Chihuahua. This problem is due to the ligaments that hold the kneecap in place stretching over time, and immediate, surgical intervention is usually the only solution to the problem. Left untreated, your dog will be compensating for the kneecap being out of position, and, over time, that can lead to further deformity or movement disorders. Reverse sneezing is another common problem in small breed dogs, including the longhaired Chihuahua and the smooth coated variety. This is usually a temporary, harmless condition, caused by a misalignment of the soft palate, and it sounds like something between a sneeze and a snort! This particular disorder usually sorts itself out on its own, with no intervention necessary, and it can recur whenever your dog becomes excited, stressed, or agitated. If your Chi is a reverse sneezer, try not to be too concerned about it – the noise may be worrisome, but it is almost always harmless. Hypoglycaemia may be something that is more commonly associated with humans, but dogs are not immune, and Chihuahuas, probably because of their size, are prone to this condition. It is actually a sharp drop in glucose levels in the blood, caused by stress, lack of eating or illness, and ‘sugar shock’ while treatable, can be fatal! If you notice that your Chi is lethargic or seems weak or tired, it could be a sign of hypoglycaemia (or another serious illness or disorder) and you should seek immediate attention from your vet! Cryptorchidism may sound like a scary disease, but it is actually a term that describes testicles that do not descend from inside the body, into the scrotum. It is not usually an immediately dangerous condition, but it can lead to an increased risk of cancer or injury, so it is worth having your male Chi pup checked out by the vet if his testes have not descended by around six months of age. Hydrocephalus, on the other hand, is a serious condition, that involves the build-up of fluid on the brain. This fluid can lead to behavioural changes, depression, vision problems, and seizures. It is sometimes a birth defect, and sometimes a result of an infection or injury. Chihuahuas are one of the breeds of dog that are particularly prone to mitral valve disease, which is a specific type of heart disease, which is degenerative. It usually only appears in older dogs, but it can also affect younger ones, and it usually results in premature death. The severity of the disease will determine your dog’s life expectancy, so if you suspect that your dog may be at risk, visit your vet soon, and have your dog’s heart examined properly. 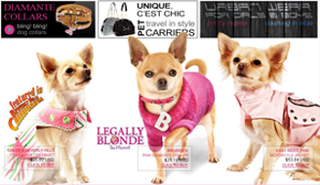 There are other conditions that affect both longhaired Chihuahuas, and their smooth coated siblings. 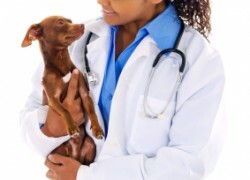 If you have a Chihuahua, or are planning to get one, it is usually a good idea to check with your vet what conditions you should be on the look out for, and to remember that Chi’s can also get other illnesses and diseases. 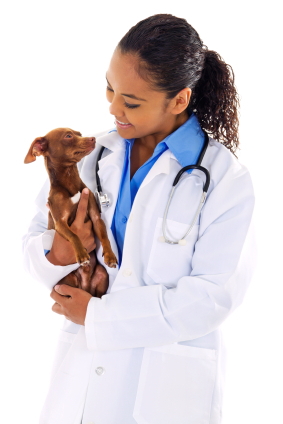 Make sure that you have a reliable, knowledgeable veterinarian, and that you take your dog for regular checkups. Never leave any obvious signs of illness either – some canine diseases can be fatal in hours or days!